The first “Lords of War” is set to take place on April 24th in Addison and the card features some veteran local fighters, a former “Ultimate Fighter” contestant and a former WEC champion. The show is jam-packed with fighters from Midwest Training Center and one from Gilbert Grappling. The main event will match XFO vet and former WEC champ Chase Beebe against Billy Jochum. Beebe (11-5) comes back to the states after battling in DREAM to fight locally for the first time in almost 4 years. Jochum (8-3) fought here at “Fight Club One” in July last year, getting submitted by John Hosman by a first round armbar. 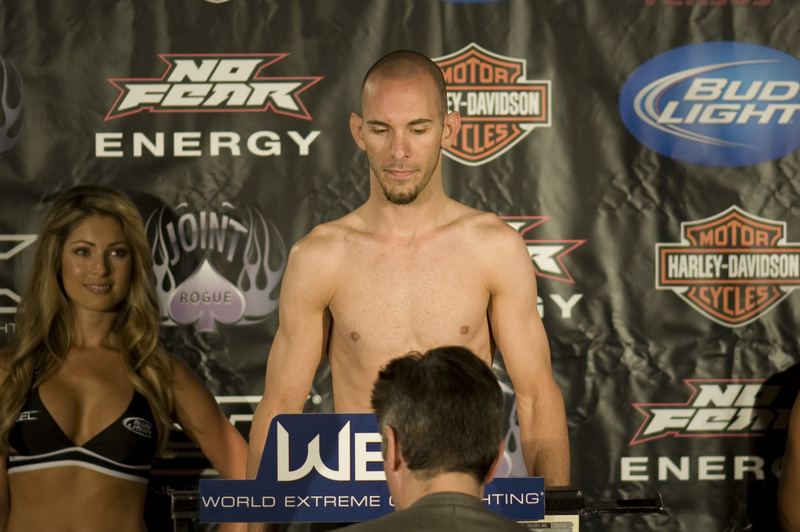 Hosman (15-6-1) will also fight on the card. After rattling off 7 straight wins, Hosman got the call to fight in the WEC. He got a very tough matchup in his first fight, having to face off against submission specialist Rani Yahya. Yahya submitted him in round 1. Then Hosman battled Chad George to a decision loss at WEC 45. At Lords of War, Hosman looks to get back to his winning ways and will take on Mike “The Assassin” Lindquist. Former TUF combatant and MTC fighter Kevin Knabjian will fight on the card. Gilbert Grappling’s Joe Benoit (8-3) will fight Craig Kaufman (7-4). Undefeated C3 and TFC vet Tony Wisnieski (6-0) will battle Iowa’s Ryan Bixler. MTC fighters Ryan Williams, Mikey Lullo, Mike Pitz and Vincent Ramos will all fight at the event. Check out our Chicago’s MMA Events page for all the upcoming local cards.